An IIT Professor’s Award-Winning Mechanism to Trap Carbon Dioxide Can Reduce Air Pollution in India. According to a study conducted in 2014, India was the fourth biggest emitter of carbon dioxide (CO2), a whopping 2.6 billion tones that year, contributing 7.2 per cent of the world’s emissions. Furthermore, in 2016, another report cited India as becoming the world’s fastest-growing major polluter, with the largest increase in global CO2 emissions at 5.3 per cent. Amidst these disturbing facts and reports, a professor from Indian Institute of Technology, Bombay (IIT-B) has made a discovery that could be elemental in curbing air pollution in the country. Dr Vikram Vishal has been awarded the Indian National Science Academy (INSA) medal for Young Scientist 2017 for his discovery. 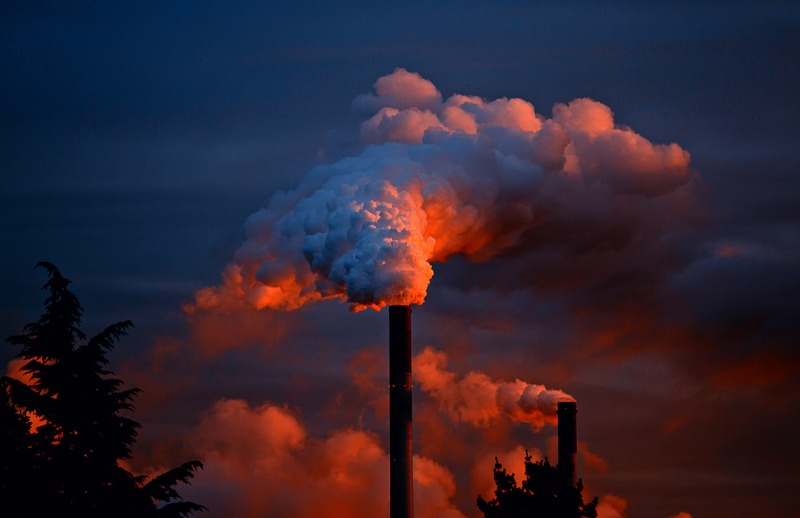 Dr Vikram, an assistant professor in the Department of Earth Sciences, has discovered a mechanism to capture CO2 from industrial units and inject it underground. “Natural gases have remained trapped in deep underground rock structures for several million years. This provided the idea to inject and store the greenhouse gases in rocks and prevent their release into the atmosphere,” Vikram told Hindustan Times. Contrary to popular belief that CO2, when released into the atmosphere ends up remaining for around 100 years, the gas’s lifetime cannot be represented in simple ways. It is not destroyed over time, but instead moves among different parts of the ocean–atmosphere–land system. While some of the excess CO2 is absorbed quickly (for example, by the ocean surface), some continue to remain in the atmosphere for thousands of years, by which carbon is transferred to ocean sediments. “Last year, I created underground conditions in my own laboratory and used carbon dioxide for the first time. We evaluated the geo-mechanical conditions of the coal reservoir. Real time conditions in the laboratory have added to my research,” Vikram told. Apart from capturing and storing CO2 in coal beds, the research paper also discusses the recovery of methane from the very same beds. “When carbon dioxide is injected at very high pressure into coal beds, methane is released. This can be collected to address the country’s energy demands,” he added. He also mentioned that at present, around 40 per cent of methane is being recovered by conventional methods. With this study, an estimated 70-75 per cent of methane could be recovered since the CO2 that is pumped into the deep coal bed will occupy the pores left empty by methane. “Realising India’s vast geological diversity, the country offers ample opportunities for the storage of carbon dioxide. Injection of carbon dioxide will not only help develop a long sustainable earth, but also lead to enhanced recovery of methane to partly meet our growing energy demands”, said Vikram, who was also the winner of the Young Scientist Award at the Indian Science Congress for the year 2010-11. Coming at a time of extreme global warming and climatic changes,this discovery spells hope for a better future. To get in touch with Dr. Vikram Vishal, click here.